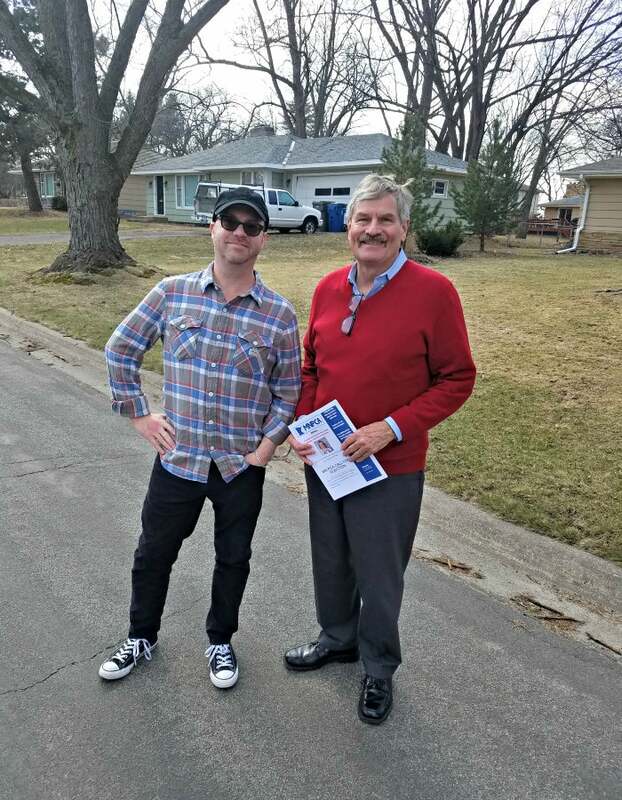 ST. PAUL, Minn.—When the union representative came to her door last month, Mary Barton invited the cheerful young woman in because she seemed friendly, and it was raining. They support efforts by lawyers working with other caregivers to decertify the union, an affiliate of Service Employees International Union called SEIU Healthcare Minnesota. Mary Barton is a personal care assistant for the couple’s 20-year-old disabled daughter, Catherine. The Daily Signal is not using the family’s real names for this report because of their concern of being harassed by the union. The Bartons live in a southern suburb of Minneapolis-St. Paul that has been the focus of SEIU Healthcare’s efforts to recruit members from among personal care assistants, or PCAs as they are called. The Bartons are part of a Minnesota state program known as PCA Choice, which pays a Medicaid subsidy to about 27,000 home-based caregivers to cover the costs of their services to disabled individuals. In 2013, Gov. Mark Dayton, a Democrat, signed into law a bill that classified personal care assistants as public employees, but only for the purposes of collective bargaining. 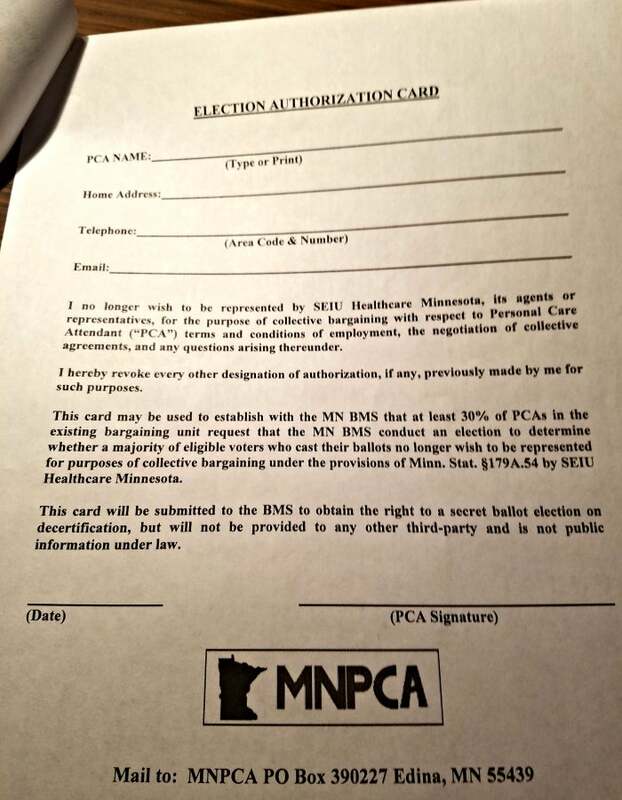 The following year, SEIU Healthcare Minnesota organized an election, using mail-in ballots, to unionize the PCAs. How the union accomplished that is in dispute, and has ramifications today. Only Mary Barton and her daughter were home when Yuliya, the SEIU rep, visited the family home a few weeks ago. The young woman appeared to be in her 20s, had an accent she didn’t recognize, and said she was from out of state, Barton recalled. They don’t get what they want the first time, so they come back with plan B; they come back with another form to get your signature in some way. That’s what they wanted. They wanted my wife’s signature. The union is like a tapeworm latching onto the PCA Choice program, and as more money comes out you have to ask yourself if the Legislature is going to keep the program going if it just means more money going to the union. The Daily Signal interviewed Mary and Mike Barton in the Minneapolis office of their lawyer, Douglas Seaton, who is pursuing cases against state agencies and the union on behalf of thousands of other personal care assistants. Within a few days, Mary Barton said, she received a thank you note signed “Yuliya” at the bottom. No one gets rich off it because it’s a very modest subsidy, but it allows people to make choices that fit their own particular, special needs situations. Our daughter is currently enrolled in the public school system’s special needs program, and she’ll have a transition period. But once she’s out, the PCA program will be a great program for us. One of us will be able to retire and stay at home with her. I just hope the program is still in place. 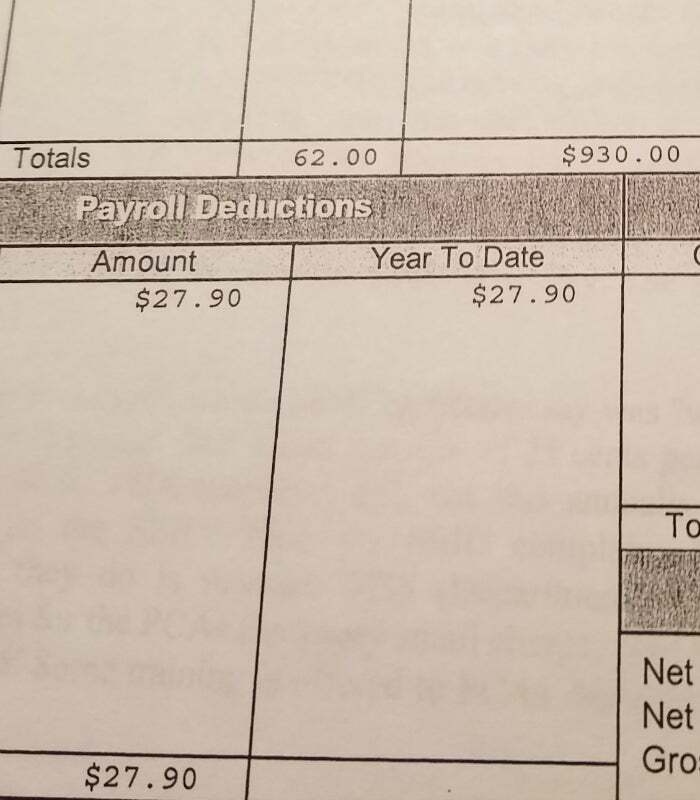 Detail from Mary Barton’s check, showing $27.90 in union dues deducted. The Bartons describe Catherine as “a very beautiful, normal-looking” young lady. She has been diagnosed with a genetic condition that puts her at a first-grade learning level and in need of constant care. The Bartons, like thousands of other home caregivers who are part of PCA Choice across Minnesota, provide services to a disabled member of their immediate family. In some instances, personal care assistants also care for extended family members or close friends. The idea behind the PCA Choice program is to allow those disabled individuals to remain at home instead of being placed in an institution. The program also benefits taxpayers, who otherwise would foot the bill for the more expensive services offered by state-run institutions, according to a group called Minnesota Personal Care Assistants, or MNPCA. The organization has taken legal action against SEIU Healthcare Minnesota, the union that represents health care workers in hospitals, clinics, nursing homes, and private residences. 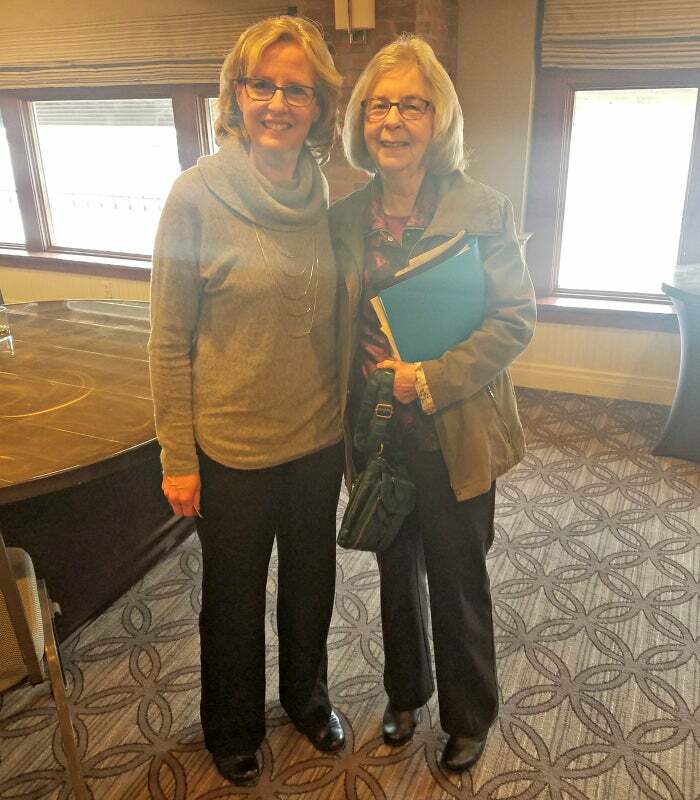 MNPCA volunteers are collecting signatures from personal care assistants such as Mary Barton to trigger a new election among PCAs that could result in decertification of the union by Minnesota’s Bureau of Mediation Services. The state agency requires signatures from 30 percent of the 27,000 PCAs who are part of the bargaining unit before an election can be called, which means the decertification campaign needs 9,000 signatures. Individual personal care assistants and their group’s lawyer, Seaton, told The Daily Signal that the Bureau of Mediation Services and other agencies haven’t been forthcoming in turning over a complete, accurate list of the PCAs eligible to sign the petition calling for an election to decertify SEIU. Some members of Minnesota Personal Care Assistants spoke to reporters March 4 at a press conference in a hotel in downtown St. Paul. 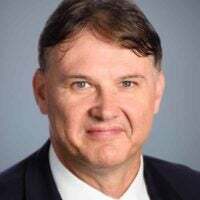 Joining them were Seaton, a partner in the Minneapolis-based firm of Seaton, Peters & Revnew, P.A., and Matt Patterson, executive director of the Center for Worker Freedom, a Washington-based nonprofit affiliated with Americans for Tax Reform. Personal care assistants Kris Greene, left, and Patricia Johansen. Greene is the lead plaintiff in the PCAs’ legal action. Two state legislators—Rep. Marion O’Neill, a Republican from Buffalo, and Rep. Cindy Pugh, a Republican from Chanhassen—also attended. The two lawmakers called on the governor and other state officials to be more “open and transparent” in their dealings with the personal care assistants, and to turn over the requested list of names. Four PCAs from Minnesota were part of the press conference: Catherine Hunter of Burnsville; Kris Greene of Lakeville; Patricia Johansen of Fergus Falls; and Hollee, a Duluth resident who asked that her surname not be used. Thousands of disabled Medicaid beneficiaries, they said, prefer to remain at home with their families but have been put into a position where a portion of their benefit is being siphoned off to fund the SEIU’s political activism and to pay the salaries of union officials who in some instances make more than $70,000 a year. Matt Patterson, left, and Douglas Seaton pause while visiting personal care assistants in Edina, Minnesota. The U.S. Supreme Court, in the 2014 case Harris v. Quinn, ruled 5-4 that unions such as SEIU, which represent public employees, are permitted to collect union dues only from those who voluntarily join. Pamela Harris, an Illinois resident who cares for her disabled son at home, brought the case. Citing the First Amendment, Harris and others argued it was unconstitutional for state laws to compel in-home caregivers to pay union dues and accept a union as their exclusive representative to the government. A majority of Supreme Court justices agreed. So why are Minnesota residents who didn’t voluntarily join SEIU Healthcare Minnesota paying union dues? For two years, Seaton and the personal care assistants have collected evidence suggesting they may be the victims of voter fraud and identity theft schemes that violate federal and state laws. Seaton is pursuing litigation against Minnesota’s Department of Human Services, Bureau of Mediation Services, and management and budget agency. The lawsuits, with Greene as lead plaintiff, are part of the group’s efforts to collect enough signatures to trigger an election it hopes will result in decertification of SEIU. Seaton and his clients contend the state agencies have yet to turn over an updated list of the 27,000 personal care assistants in Minnesota who are part of the collective bargaining unit. The lawyer said he is preparing a case in Ramsey County District Court built on allegations of voter fraud and identity theft. In 2014, the year after Dayton signed the legislation classifying personal care assistants as public employees for the purposes of collective bargaining, SEIU Healthcare Minnesota organized the election with mail-in ballots. But here’s the rub: Under Minnesota law, SEIU needed only a majority of those who cast ballots to win the unionization vote. Of the 27,000 personal care assistants eligible to vote, 5,849 voted. A total of 3,543 voted yes to name SEIU Healthcare Minnesota as their exclusive representative, and 2,306 voted no. This means that 13 percent of the state’s PCAs were permitted to unionize all 27,000. The current contract between the state and SEIU allows the union to deduct 3 percent, or up to $948 a year, from Medicaid payments to personal care assistants who are part of the union. Personal care assistants are paid varying amounts based on the type of care and hours required, Seaton said, but it averages about $20,000 a year. Seaton estimates that the SEIU has pulled in anywhere from $4 million to $5 million in union dues from PCAs, based on financial statements the union is required to file with the U.S. Department of Labor. 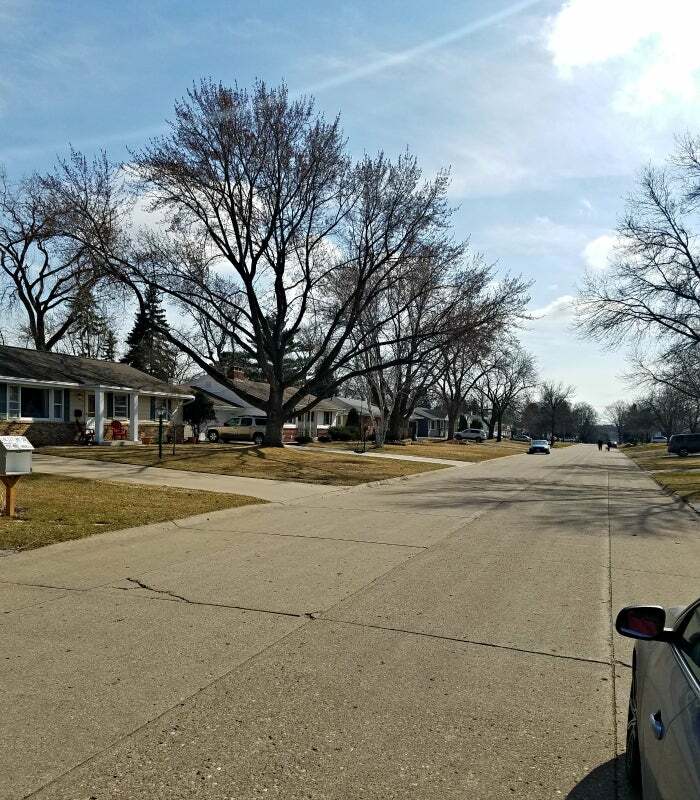 On the road to a personal care assistant’s home in a neighborhood in Edina, Minnesota. Last month, the Bureau of Mediation Services turned down MNPCA’s petition to hold a new election, saying there weren’t enough signatures. The group appealed, and continues to collect more signatures. Seaton announced at the press conference that the group already had collected the signatures of 6,200 personal care assistants, more than the number who voted in favor of the union. But as they travel to visit with individuals listed by the state as PCAs, Seaton said, his clients have found that a “high percentage” of those they meet say they didn’t receive a ballot to vote in the 2014 unionization election. The personal care assistants seeking a new election also have found “vacant addresses,” “empty lots,” and even “gas stations and a bank” where other personal care assistants are listed as living, according to a statement by the group attached to an election authorization card it asks PCAs across the state to sign. This is the form that those seeking a decertification election ask their fellow personal care assistants to sign. So did SEIU mail ballots to all 27,000 personal care assistants who were eligible to vote in 2014? Or did the union mail ballots only to individuals it calculated would be most likely to vote yes? 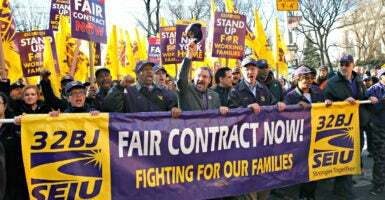 How does SEIU respond to the fraud allegations expected to become part of a new lawsuit? Those are some of the questions raised during the press conference. The Daily Signal repeatedly called and emailed Josh Keller, media representative for SEIU Healthcare Minnesota, asking these and other questions. After more than a week, Keller had not responded. The Bureau of Mediation Services is expected to act within weeks on MNPCA’s formal request for reconsideration of its petition for a new election. By going to the Minnesota Court of Appeals, the group also intends to challenge the agency’s decision to reject the petition. The Dayton administration has appealed a Ramsey County district judge’s order requiring government officials to give the group a complete list of personal care assistants. The Bartons say they didn’t receive a ballot in the mail to vote in the 2014 election, and they told The Daily Signal they know other personal care assistants who didn’t receive one either. But they were visited by the union that same year.